There are numerous sprite debates and discussions on the differences between hackers, developers, and programmers. With most descriptions, however, there is usually a slight flaw in at least one or two serious ways. These terms are all traditionally misused and misunderstood, with many of us frequently mixing them up as an all-encompassing definition of anyone working on the Software realm. However, if you are looking to clarify your project goals and business needs adequately, it is essential that you understand that all these terms do not all represent the same thing (although a person with the ability to program a computer can use different skills to accomplish various outcomes). What’s more, it is also quite important for you to differentiate between these three terms if you are working with software development groups and the fact that they cannot be interchanged. This excerpt seeks to break it all down for you mainly-the vital difference between hackers, developers, and programmers, their actual tasks, as well as their relationship. 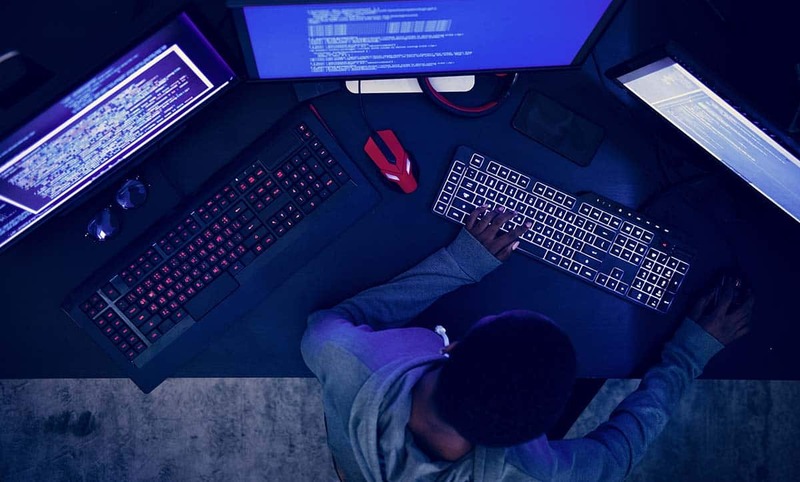 A hacker is a computer expert who uses his knowledge of computer networking, programming, cryptography, and databases to overcome a problem in the system. Hackers are more concerned with availing the concept as opposed to minding about the long-term quality. And although a hacker can conceptualize about how will ultimately be created while frantically writing code, the role is primarily about speed. A hacker, as well as hacking,’ are most useful in dealing with emergency circumstances or when prototyping an item. Hackers and the profession of hacking, in general, is not concerned with the ultimate effect of the code. Hackers make things. They typically alter the things programmers create and transform them to function differently as well as also writing codes. While “hacker” can refer to any skilled technical person, the term has become associated with computer security, someone who, with their technical knowledge, uses bugs or exploits to break into computer systems. A programmer is an individual equipped with the expertise to write codes. Programmers usually master in a single or multiple programming languages and boast vast knowledge on related areas also. Their roles are relatively procedural and mandate for total concentration not to mention refined skills. A programmer is solely focused both in writing codes as well as getting features appropriately performed so that these features are accessible for integration and later use. Programming is merely the process of swinging the hammer and adequately creating the software. Developers are typically creators. However, not anyone that is an expert at writing codes can be a developer. Developers are experts at identifying ways around various problems as well as plugging together components to fulfill some requirements. These professionals solve problems or create things by adhering to a specific set of principles (design and implementation). This set of principles includes attributes such as maintainability, performance, robustness, security, and scale among others. They solve problems in a systematic manner. Ideally, this is what distinguishes programmers, developers, and hackers. In all simplicity, these three professionals solve various problems using code. A programmer is an encompassing term that means a problem solver, a developer is a trained programmer (formal) who besides resolving issues achieves it in an organized and methodical manner likely instilled in the course of their formal education, and a hacker is a tinkerer/creator. Despite their differences in individual meaning and professional capacities, these terms, however, can interrelate with each other quite effectively. In fact, it is possible for you to combine the skills to your benefit. In reality, all developers and hackers are programmers. However, despite their expertise, not many developers and programmers are creative enough to warrant an identity as hackers. Finally, although hackers and programmers are quite impressive, they are however not experienced or educated enough to warrant consideration as developers. The similarity, however, is that all work to create code, each in their specified manner. Ideally, anyone would work to be all the above-as creative as a hacker, though, somewhat better experienced and formally trained to design software as opposed to only hacking. Nonetheless, even if you lack the creativity, experience, or education, or either to necessarily create a broad application, it is still worth noting that you are still ideally a programmer. And in case you did not know, solving a problem through code is by itself, a superpower! Ok, I like the form of the article and I find those explanations satisfying. All in all, shot, simple and it gives you a basic insight in those professions, more or less. Very good article in my humble opinion. Great explanations. You write really informative and genuinely interesting blogs. I wanted to know about this clearly from a long time, and now I have got that info.